UNB is now offering Canada’s first MBA with a specialization in business development and professional sales. The new 12-month stream, entitled Business Development and Professional Sales and offered on UNB’s Saint John campus, is the first of its kind in the country. 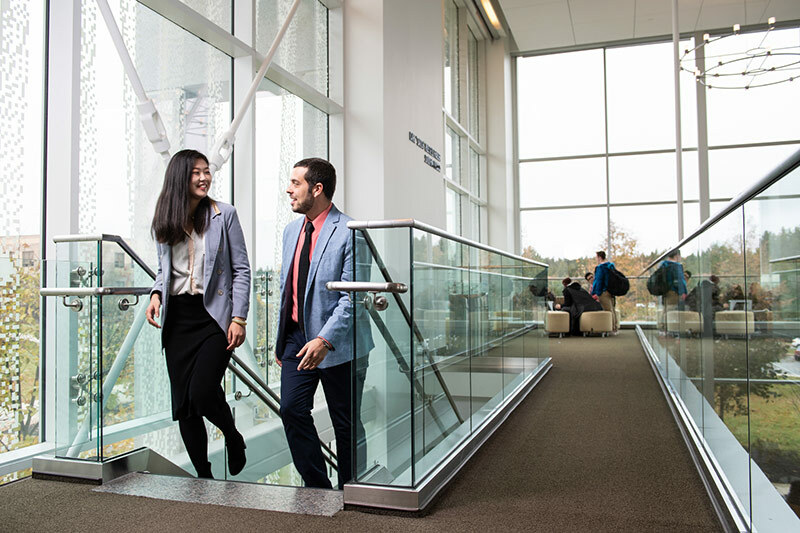 Until now, there hasn’t been a program at any major Canadian university like this one, offering unique opportunities for students of any discipline to develop proficiency in business development and sales, skills required to reach their career goals. This comprehensive program is specifically designed to create business development and sales professionals who are ready to take the lead in a competitive global marketplace, in particular since a quarter of the world’s CEOs have a sales background. A sampling of the curriculum includes equipping students to understand the causes and consequences of conflict through a negotiation, empowering professionals from executives to front-line salespeople to solve problems and make strategic decisions through the data analytics, and taking a deep dive into behavioural economics to understand how consumers make decisions. The stream was initially created to answer a call from business owners who saw a need for business development and sales in all their employees, not just in their sales department. UNB answered the call and a sales course was incorporated into the MBA program to gauge the interest, and applicability, of what was taught. It soon became apparent that students in many areas – not just business – could take the fundamental sales skills and apply them to their own profession. “We’re very excited to develop a program that is needed, both in Canada and globally,” said Shelley Rinehart, the MBA director at UNB Saint John. The Business Development and Professional Sales stream will be available in the 2019-20 fall term.